I can thoroughly recommend Anita as a cat sitter. I have two middle aged persian ladies that can testify that she does a very good job. They decided they liked her pretty quickly after their initial normal wariness to strangers wore off … helped along by the cat nip bananas and pipe cleaners that she brought round for them to play with! They are relaxed and happy each time we return from our travels and we can enjoy our time away without worry. We can now book our holidays in confidence knowing we have a friendly and knowledgeable person looking after our furry friends. 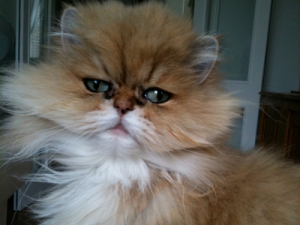 Are you seeking a recommended-cat-sitter-Westbourne-Park? 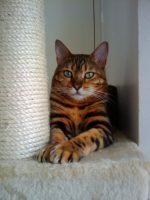 If so, we are a small reliable family run cat sitting business established in 2009 by cat behaviourist and specialised cat groomer Anita Kelsey. Starting out with a handful of clients Catnips reputation grew, via word of mouth and excellent 5 star client references, to become the leading and most sought after recommended-cat-sitter-Westbourne-Park service in the heart of the area and supplying the very best cat care service. To enquire about our recommended-cat-sitter-Westbourne-Park service please email:info@catnips.co.uk with your dates, post code and contact details. Catnips – caring for cats is what we do best.